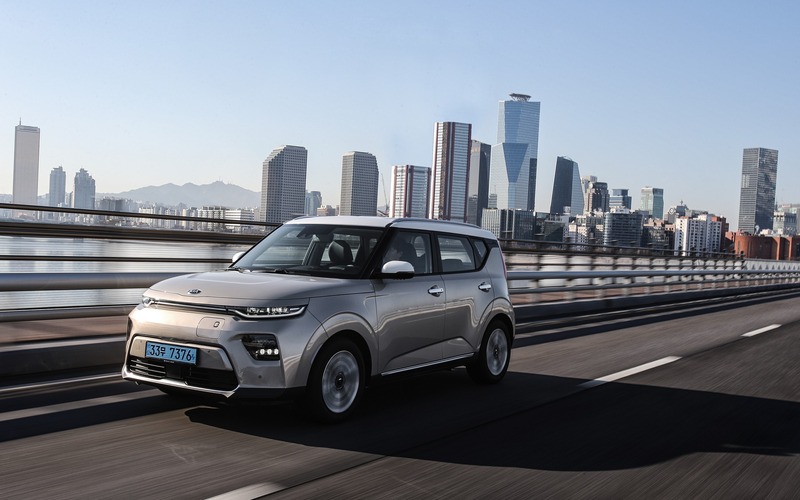 SEOUL, South Korea – The fully electric 2020 Kia Soul EV made its global debut at the Los Angeles Auto Show last November. Just a few months later, The Car Guide was given exclusive access to the car on the roads of Seoul, in South Korea. 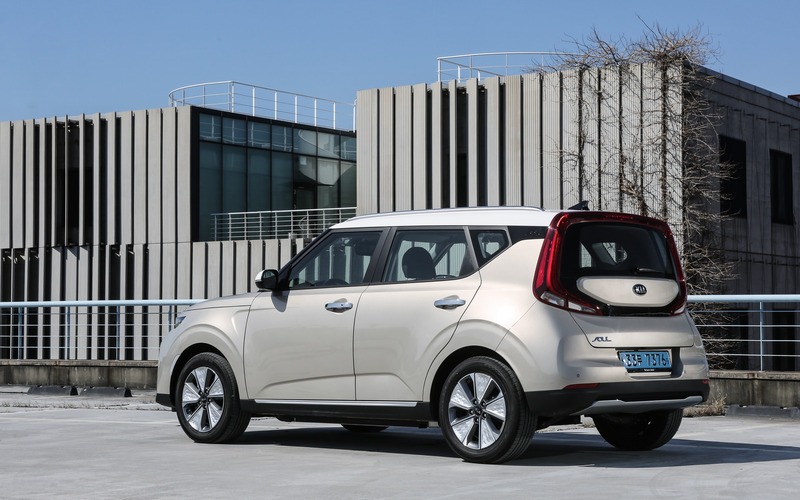 For Canadian customers, the 2020 Kia Soul EV will be available in two trim levels, including one with a 39.2-kWh battery and another featuring the same 64-kWh unit found in the Hyundai Kona Electric and Kia Niro EV. It’s a major improvement from the outgoing model, which made do with a 30-kWh battery. Sales will begin this spring, although Kia Canada has yet to detail pricing, standard equipment and available options. 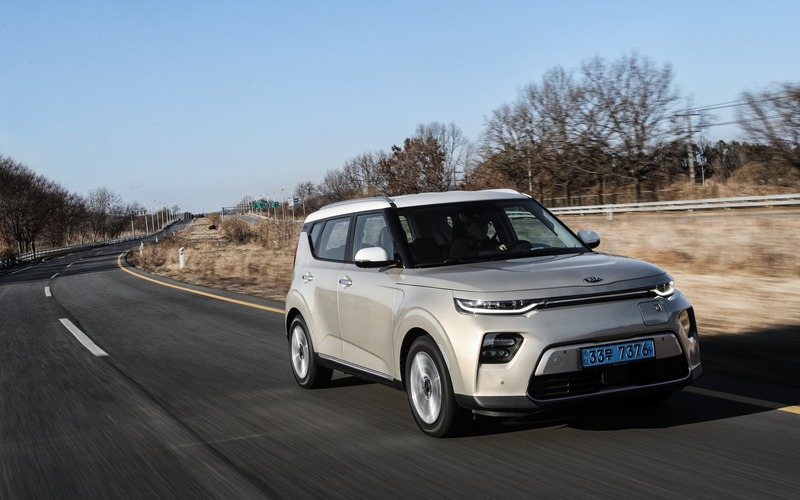 For our first contact with the 2020 Kia Soul EV, we spent an entire day driving the more capable version, which provides a range of 452 kilometres based on the World Light-vehicle Test Procedure (WLTP). However, the battery was charged to 98 percent and the computer showed an available range of 399 kilometres. This long-range Soul EV boasts a more powerful electric motor than the previous generation. You get 201 horsepower and 291 pound-feet of torque, enough for the front tires to screech when you hit the throttle hard. The instant torque delivery allowed us to easily navigate through heavy traffic and get to the highway. For the record, the 2020 Kia Soul EV reaches 100 km/h from a standstill in 7.9 seconds. On twisty roads, the car’s weight (1,682 kilograms) directly affects handling. What’s more, steering is fairly light and lacks feedback. Sure, there’s a new multi-link rear suspension mated to 17-inch wheels, but the focus is more on efficiency than excitement for the driver. Like most electric vehicles, which carry more weight than comparable gasoline-powered models, the 2020 Kia Soul EV struggles at times with bumps and other road imperfections, compromising ride quality. The regenerative braking system can be set to one of four different modes, the most aggressive one allowing single-pedal driving as the car comes to a full stop using the paddles on the steering wheel. The base model equipped with a 39.2-kWh battery is lighter by approximately 100 kilograms. It’s also less potent at 134 horsepower, yet equally rich in torque, and maximum range is rated at 276 kilometres (again based on the WLTP standard). Unfortunately, we didn’t get the opportunity to test this model. As far as charging goes, Kia says the 64-kWh battery can be fully replenished in 9.5 hours using a 240V (Level 2) power source. This drops to a little over six hours with the smaller battery. 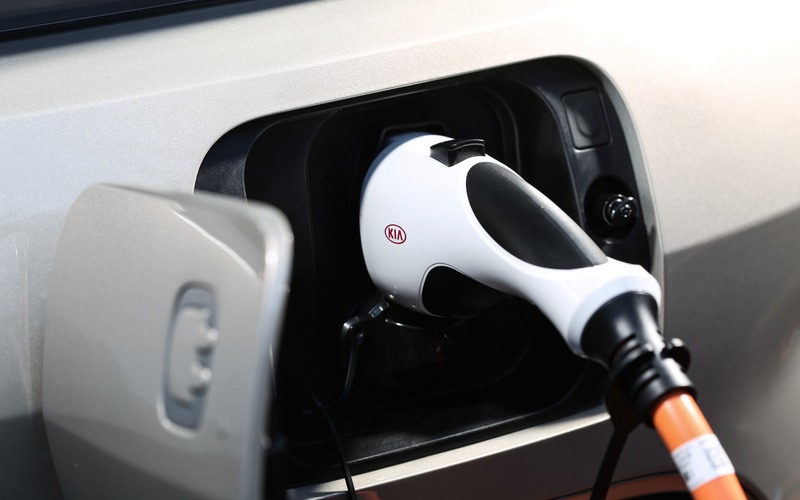 You can also plug the 2020 Kia Soul EV into a fast-charging station that will bring a dead battery to 80 percent charge in 75 minutes on 50-kW current or 54 minutes on 100-kW current. This works for both models, Kia claims. The all-new Soul EV is 55 millimetres longer than its predecessor, with a 30-millimetre longer wheelbase, which results in a more spacious interior particularly in terms of rear-seat legroom. Cargo capacity increases from 315 to 1,339 litres when you fold the rear seats. The instruments have been replaced with a colour TFT panel, with an eight-inch head-up display system integrated in the dome above, while the centre touchscreen measures 10.25 inches and features both Apple CarPlay and Android Auto compatibility. Over on the centre console, the gear selector happens to be a rotary dial and there’s wireless charging for smartphones. At the end of the day, the 2020 Kia Soul EV puts range anxiety issues to rest with its larger 64-kWh battery, while the expanded cabin challenges the Kia Niro EV and Hyundai Kona Electric. It’s perfectly suited to hauling passengers and would actually make a great taxi. 9/10	Range is no longer a problem with the available 64-kWh battery. 7/10	Ride quality over bumps and other road imperfections is affected by the car’s weight. 7/10	Look for 0-100 km/h acceleration in 7.9 seconds. 9/10	Apple CarPlay, Android Auto and wireless phone charging are all included. 6/10	Quick takeoffs don’t make up for the lack of excitement in corners. 8/10	A smartly designed EV with anxiety-quelling range. We just have to wait for prices and options.